The first HKCWCC Executive Committee (EC) 2016-17 Recruitment Meeting was successfully held on 7/11/2015. A number of alumni attended the meeting and showed interest in joining as EC in the coming term. Principal Mr. Wong MH and Vice Principal Mr. Yeung CK updated the attending alumni about the HKCWCC re-development project at the meeting. 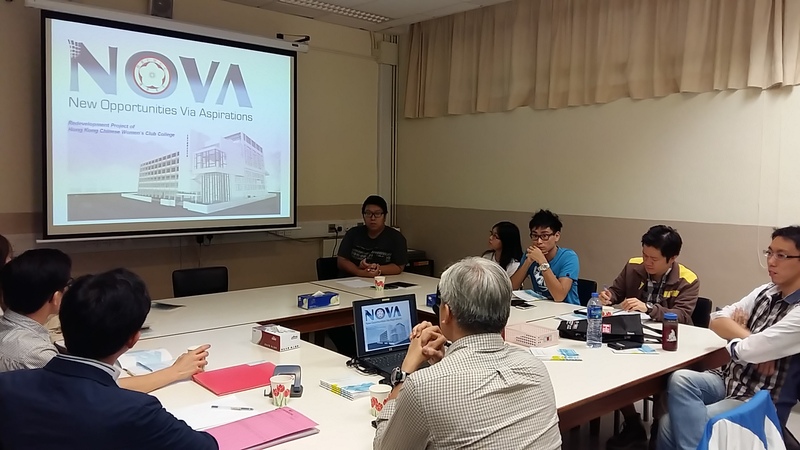 The project with the theme known as NOVA (New Opportunities Visionary Achievements) was introduced. NOVA was a term coined by the school in late October 2015, outlining a blueprint of the various hardware and software re-developments. It is an early drafting stage and HKCWCCAA would keep in close contact with the school for alumni’s involvement throughout the re-development process. Alumnus Dr. Milton Ko (1999/7S) was the proposed Chairman of one EC cabinet at the discussion of the meeting. All alumni are eligible to form an EC cabinet comprising of at least 5 Office Bearers (Chairman, Internal Vice Chairman, External Vice Chairman, Secretary and Financial Secretary) to stand for the election at the General Meeting. All alumni are welcomed to stand for election as EC member and to join the General Meeting. For enquiries/ application about the EC election, please e-mail election@hkcwccaa.org.hk by the end of this month. Your active participation is highly appreciated!